Sail the seas of love this February at Jumba Bet Casino, and stand the chance to win a cruise. In addition to the casino’s prize draw promotion, there are also great match bonuses and free spins up for grabs. It is easy to enter the lucky draw cruise promotion at Jumba Bet Casino. Simply continue to deposit and play. For every $100 you deposit at the casino, you get one lucky draw entry ticket. The draw takes place on 1st March 2019. The winner gets a fabulous cruise for two for seven nights to a destination of their choosing. In order to make earning prize draw entries more fun, the casino added an extra incentive or two. For a guaranteed prize draw ticket, deposit $100 with the code FEAST130. You get a 130% match deposit bonus up to a total of $260. In addition to this, add in the LOVEDOM code for 30 free spins on Vikingdom. Get 100 free spins on the 7 Chakras slot game when you deposit $100 with the code LOVE7. Since you deposited at least $100, you earn an entry to the prize draw promo. Get a 99% match bonus up to $396 with the bonus code FEAST99. While you do not have to deposit $100 for this offer, if you do, you get a prize draw ticket. After using this bonus offer, enter the LOVESHOCK bonus code for 39 Captain Shockwave free spins. Make a deposit of at least $50 for 50 free spins on the Bank Outta Hell slot game. Redeem this offer with the LOVEBAND coupon code. A $50 deposit does not give you a prize draw ticket on its own, however cumulative deposits are accepted too. 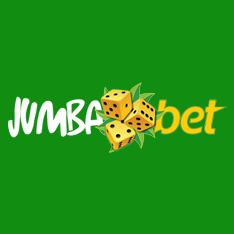 Jumba Bet Casino offers veteran players the Daily Match promotion with 11 match offers each week. The casino also offers 50 Free Spins in the Happy Hour promo daily between 6am and 9am EDT. Newbies start off with a special welcome bonus package. 200% match bonus up to $600 on first deposit. $1,200 in match deposit bonuses. The $1,200 is divided as a 150% match up to $450, and three sets of 100% match bonuses up to $250 each. Get started when you register a real money account at the casino. Last updated by Shannon on February 9, 2019 .